Our second full day in New Mexico turned out to be a mesmerizing combination of quality, and some of the finest spectacles in North American birding. 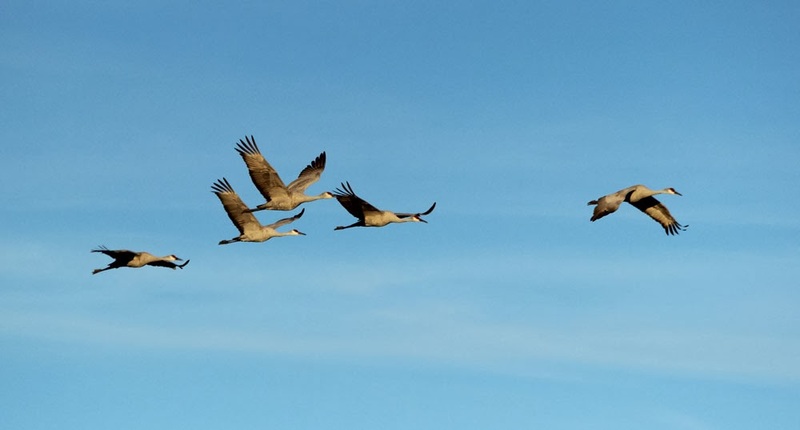 We had extra-ordinary shows from Ferruginous Hawks (10), Greater Roadrunner (11) and Mountain Bluebirds (20+) while, of course, the expected spectacle of thousands of Snow/Ross's Geese and Sandhill Cranes could never fail to impress. 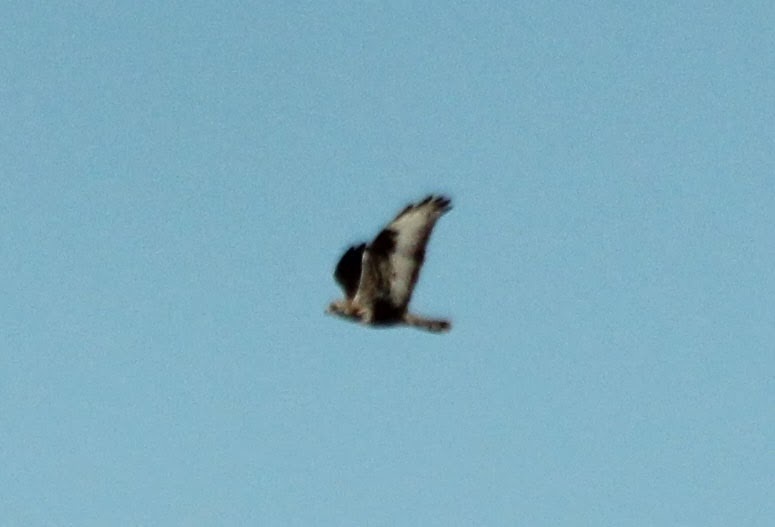 Less expected were two Rough-legged Hawks (North Loop), Crissal Thrasher (approach road) and Golden-crowned Sparrow (Visitor Center). Crissal Thrasher - San Antonio, Socorro Co., NM. January 26th, 2014. 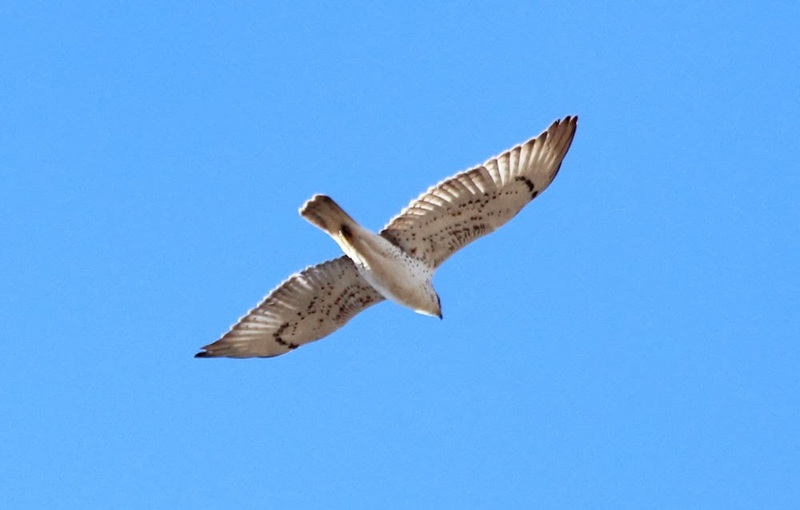 Ferruginous Hawk - light morph, Bosque Del Apache NWR, Socorro Co., NM. January 26th, 2014. 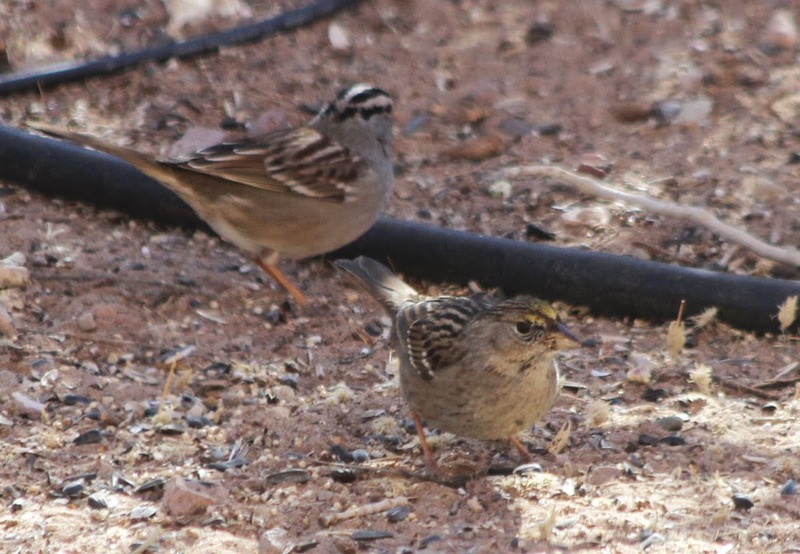 Golden-crowned Sparrow - Bosque Del Apache NWR, Socorro Co., NM. January 26th, 2014. 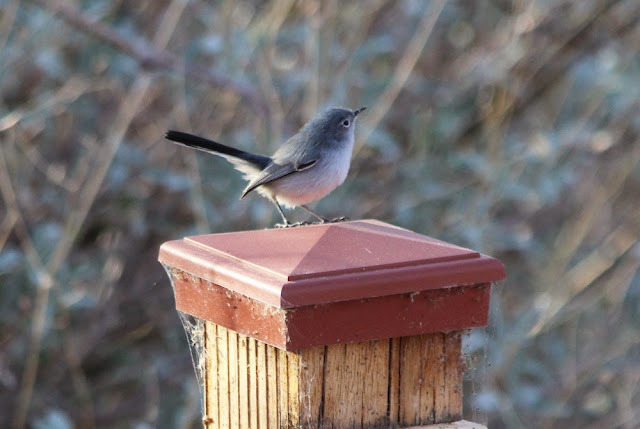 At the visitor center feeders. 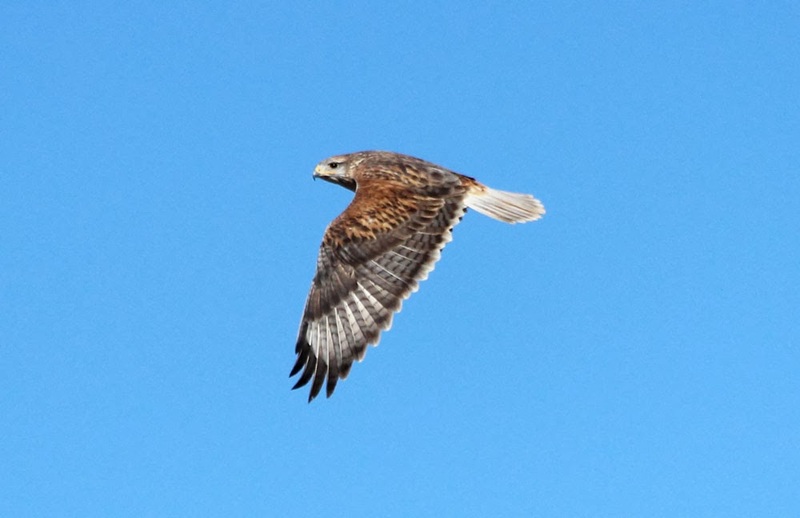 Rough-legged Hawk - heavy crop of adult, Bosque Del Apache NWR, Socorro Co., NM. January 26th, 2014. One of two seen on the North Loop. Sandhill Cranes - Bosque Del Apache NWR, Socorro Co., NM. January 26th, 2014. 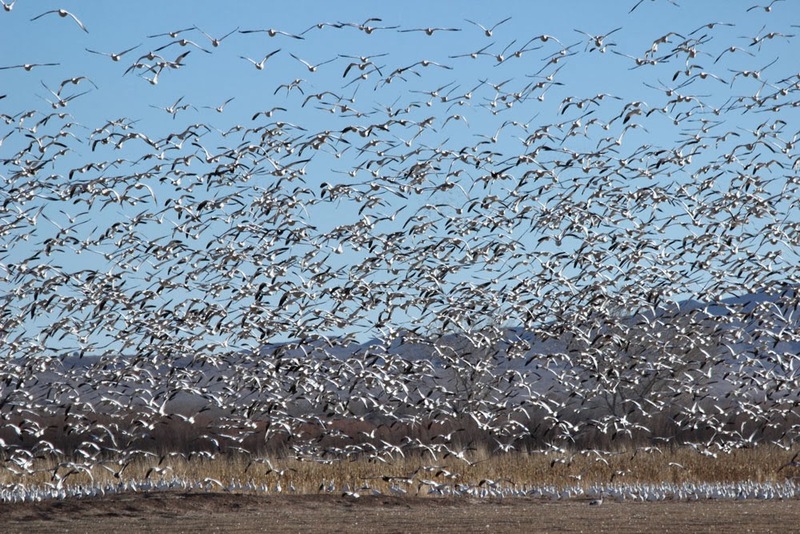 Snow and Ross's Geese - Bosque Del Apache NWR, Socorro Co., NM. January 26th, 2014. 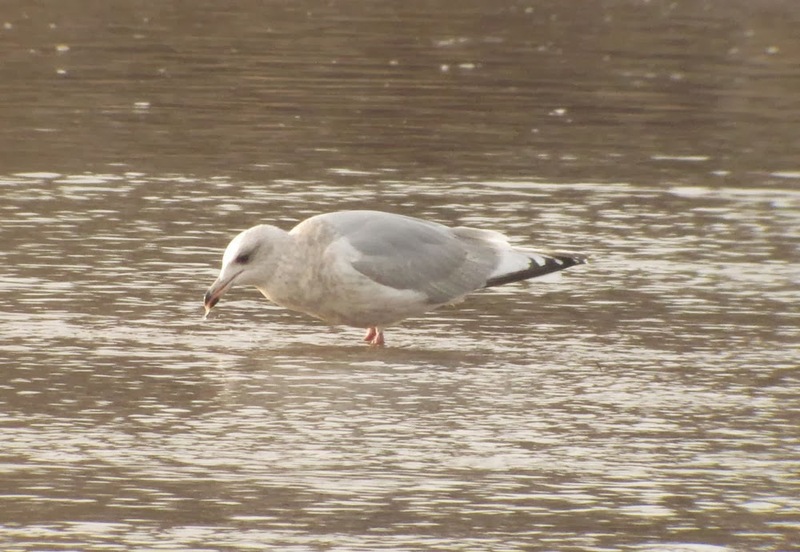 Today was pretty much a dedicated travel day but I still arrived in Albuquerque with enough time for an hour on gulls on the Rio Grande just downstream from the Alameda Bridge. Going by recent reports, this spot seemed to have a good reputation for scarce gulls but when I arrived I found only a small flock of Ring-billed until I noticed some American Crows harassing a slightly larger gull that was wrestling with a dead fish. 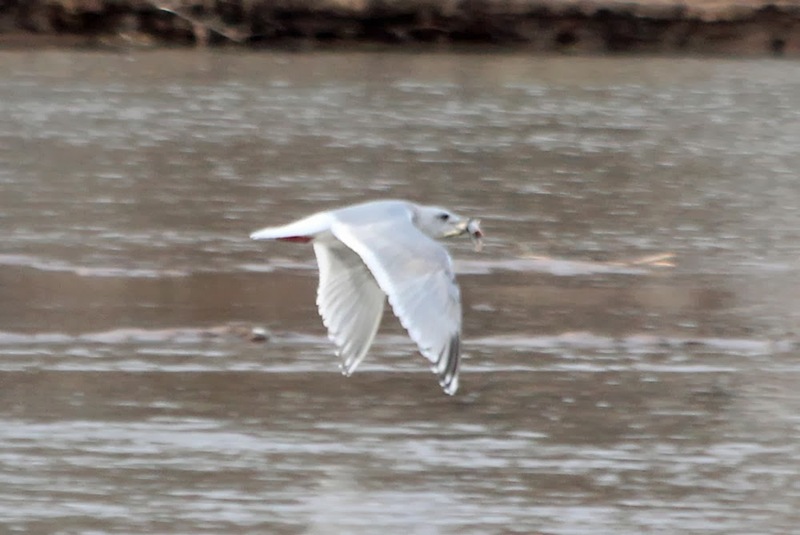 It turned out to be a beautiful third-cycle Thayer's Gull, remarkably the only large gull present. 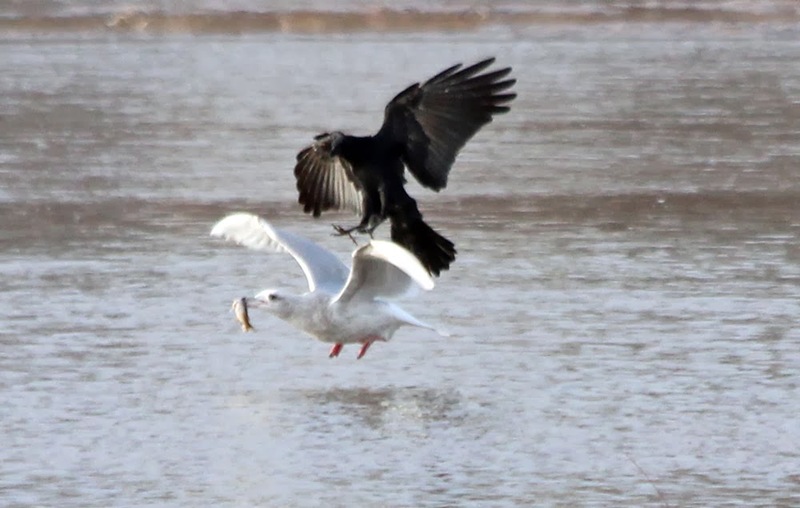 The Thayer's vigorously defended its catch from American Crows and Ring-billed Gulls, and a late arriving American Herring Gull. 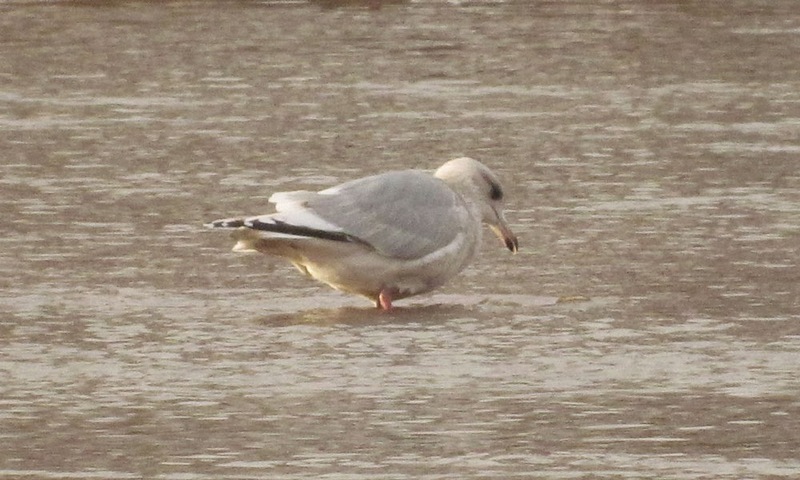 As my birding hour drifted towards dusk, all of the gulls departed northward upstream leaving only the Thayer's behind which was the very last gull to leave and head north, presumably to a roost. 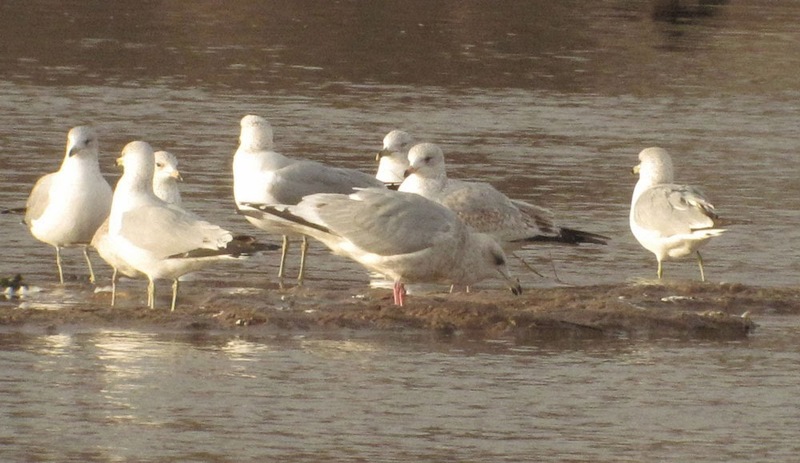 Thayer's Gull - third-cycle (center) with Ring-billed Gulls, Rio Grande, Alameda Open Space, Albuquerque, Bernalillo Co., NM. January 24th, 2014. All images above refer to the same individual. 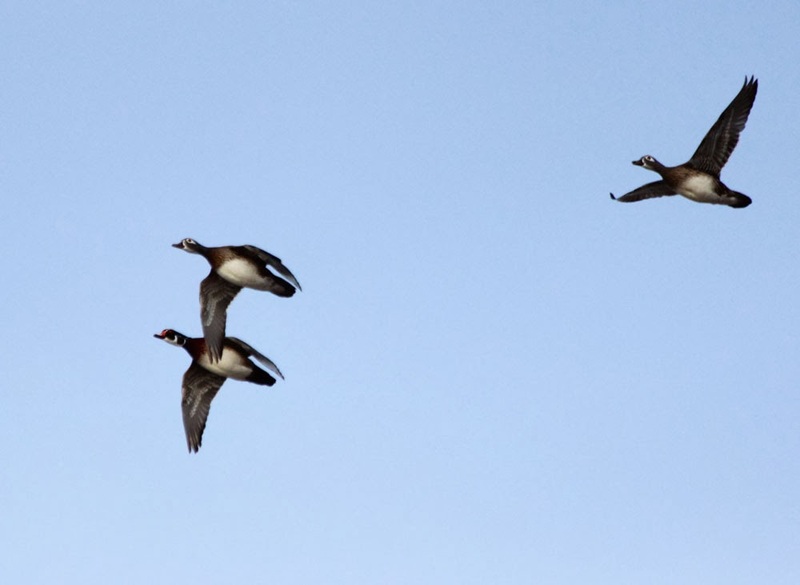 There was also a good selection of waterfowl on the Rio Grande and the nearby, part-frozen ponds highlighted by perhaps as many as 60 Wood Ducks which became increasingly flighty towards dusk. What a cracking start to my spell in New Mexico! Wood Ducks - Rio Grande, Alameda Open Space, Albuquerque, Bernalillo Co., NM. Since it was my last in day in Arizona, at least for a little while, a steady birding hike into a canyon was very much the order of the day. I chose the Carrie Nation trail in upper Madera Canyon, a not-too-strenuous out and back route. 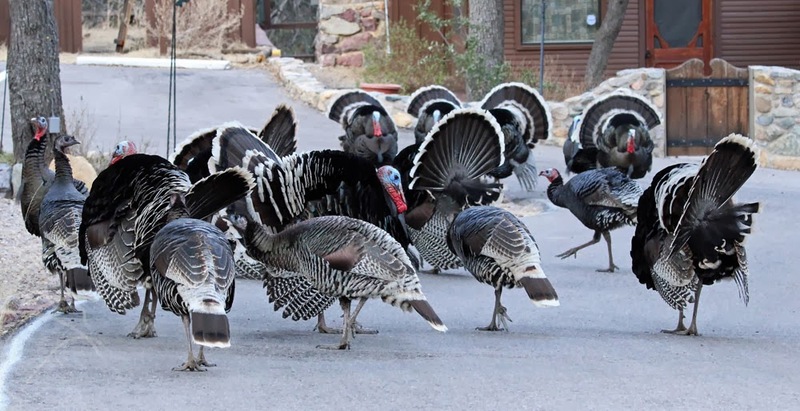 Initially, things were a little quiet, though I'd been blown away by a group of the displaying Wild Turkeys at Santa Rita Lodge on the drive up. 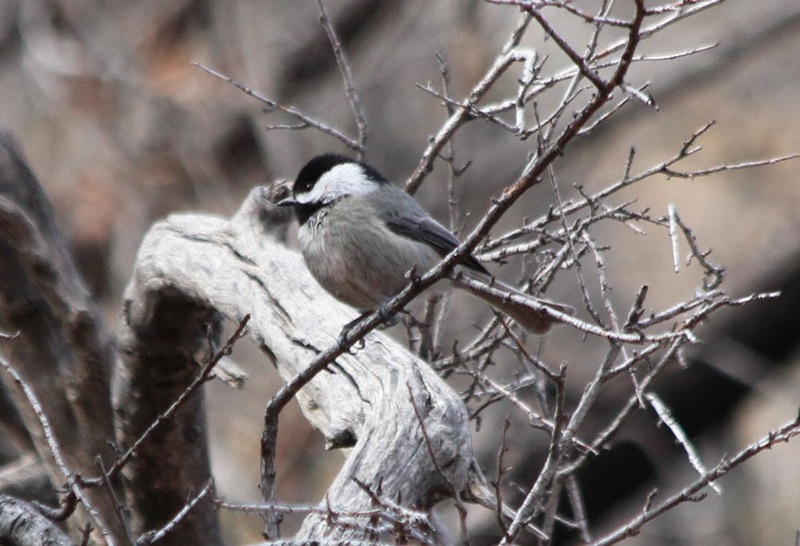 Given the excellence of the canyon in spring and summer, my expectations were not high for a mid-winter visit but after a quiet first mile bird activity increased all the way up to the old mine. 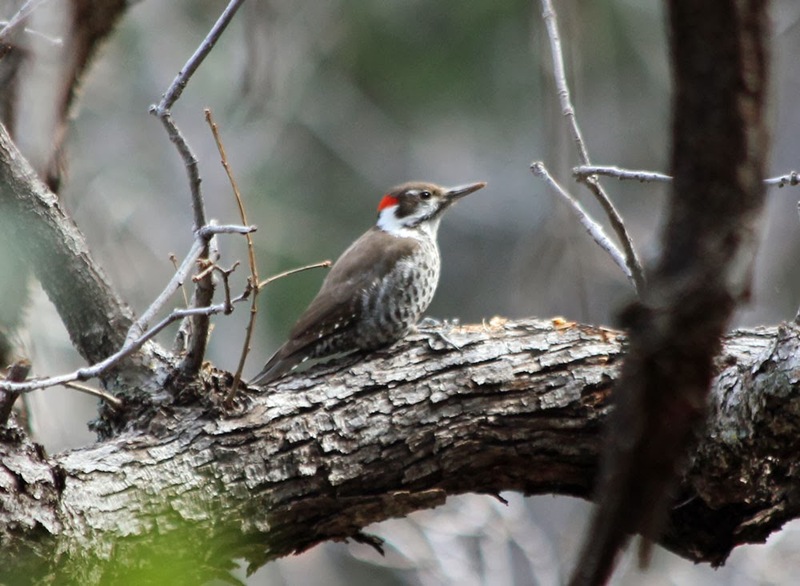 Star bird of the day would have to be the Arizona Woodpecker, I saw six and heard at least five others. 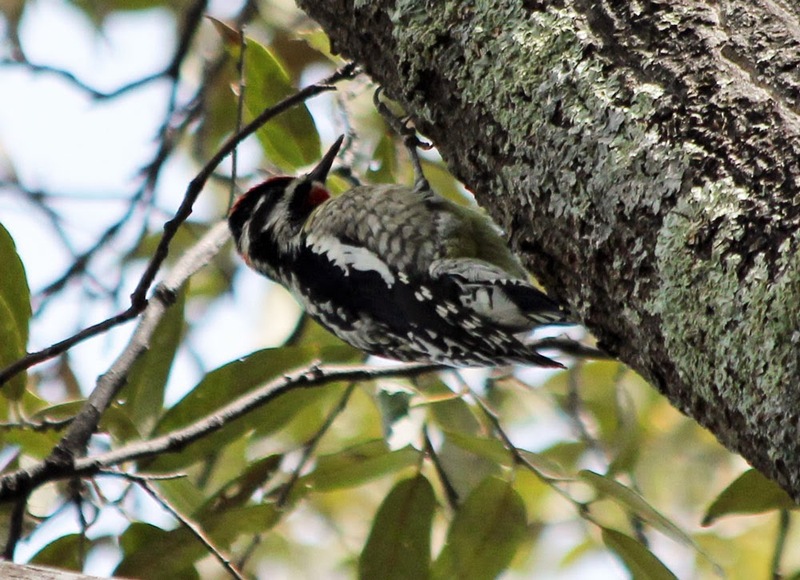 In fact, woodpeckers were a strong feature of the walk with several Northern Flickers and Hairy Woodpeckers plus a stunning male Williamson's Sapsucker and an apparent female Red-naped Sapsucker. Other species included many Bridled Titmice and Ruby-crowned Kinglets plus Hermit Thrush (8), Townsend's Solitaire (3) and House Wren (2),.....and I was especially pleased to hear and then see a female Olive Warbler towards the terminus of the trail. 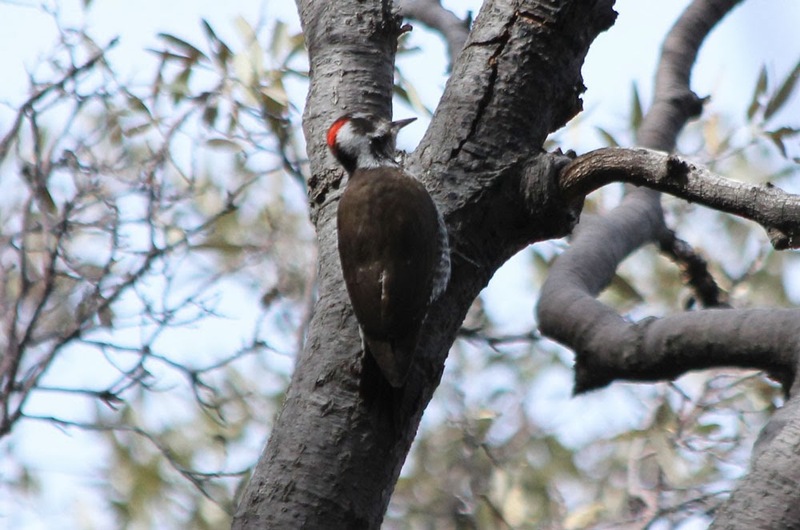 Arizona Woodpeckers - Upper Madera Canyon, Pima Co., AZ. Plentiful on the Carrie Nation trail today with at least 11 recorded. January 23rd, 2014. 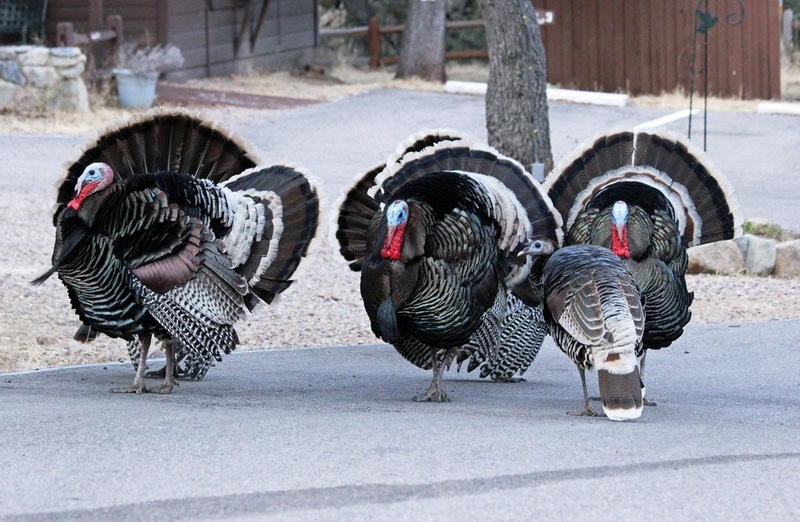 Wild Turkeys - displaying at Santa Rita Lodge, Madera Canyon, Pima Co., AZ. January 23rd, 2014. 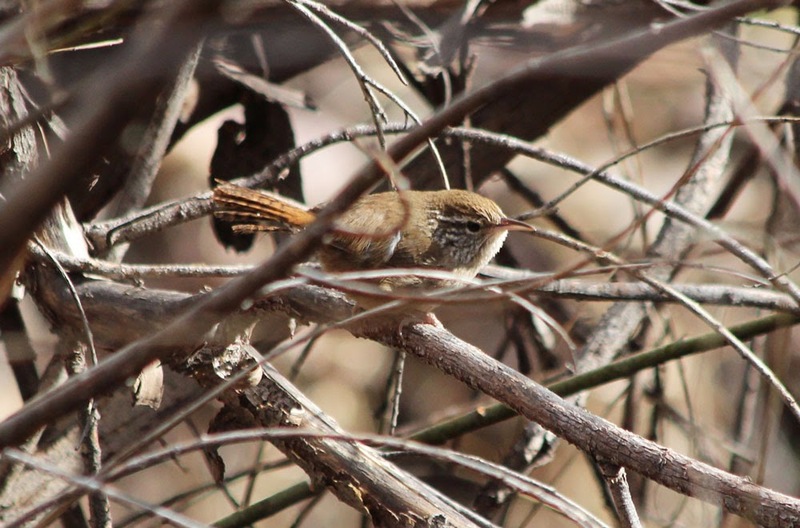 House Wren - Upper Madera Canyon, Pima Co., AZ. January 23rd, 2014. 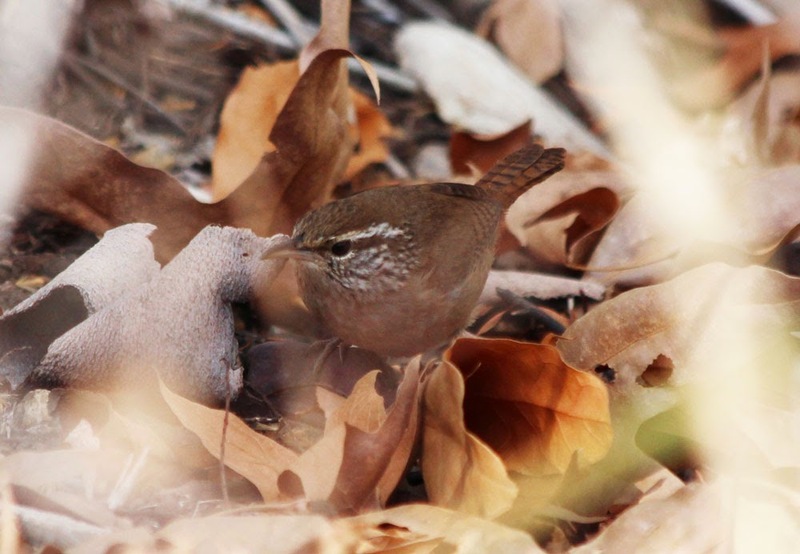 I've thoroughly enjoyed the wrens on this particular trip to Arizona. 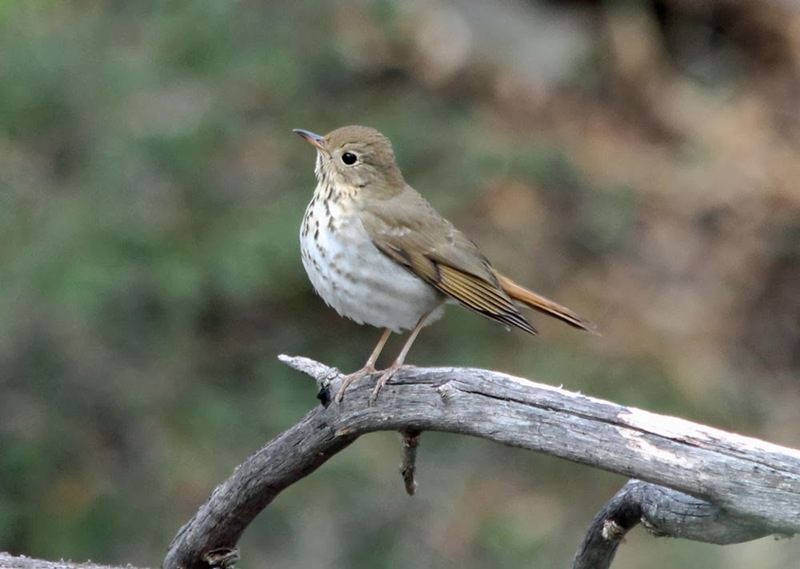 Hermit Thrush - Upper Madera Canyon, Pima Co., AZ. January 23rd, 2014. 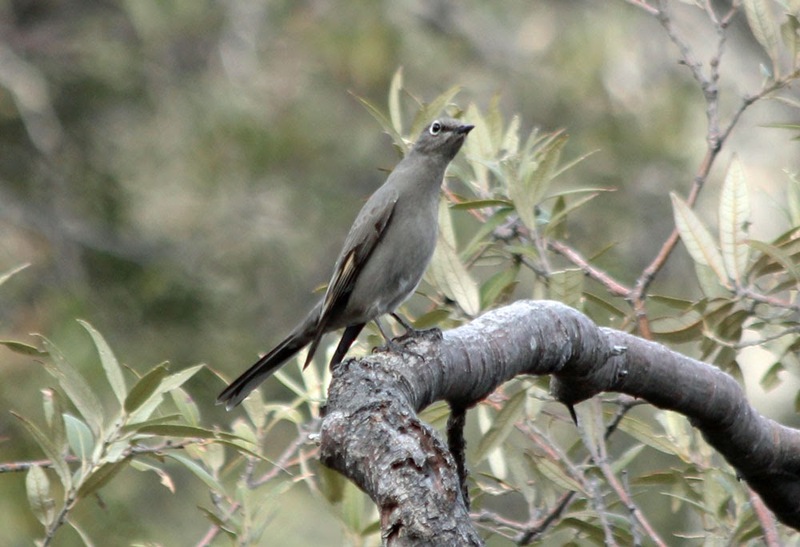 Townsend's Solitaire - one of three or four seen today, Upper Madera Canyon, Pima Co., AZ. 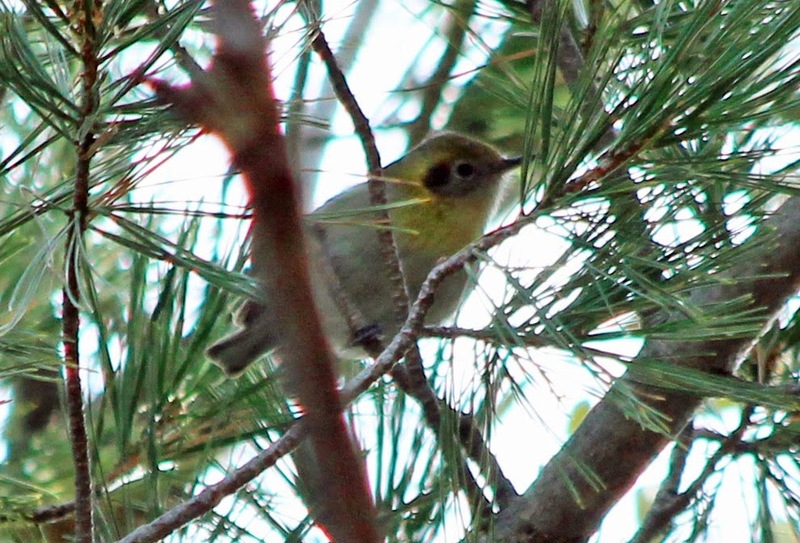 Olive Warbler - heavy crop of a female feeding high in the pines. Upper Madera Canyon, Pima Co., AZ. January 23rd, 2014. Red-naped Sapsucker - female, Upper Madera Canyon, Pima Co., AZ. 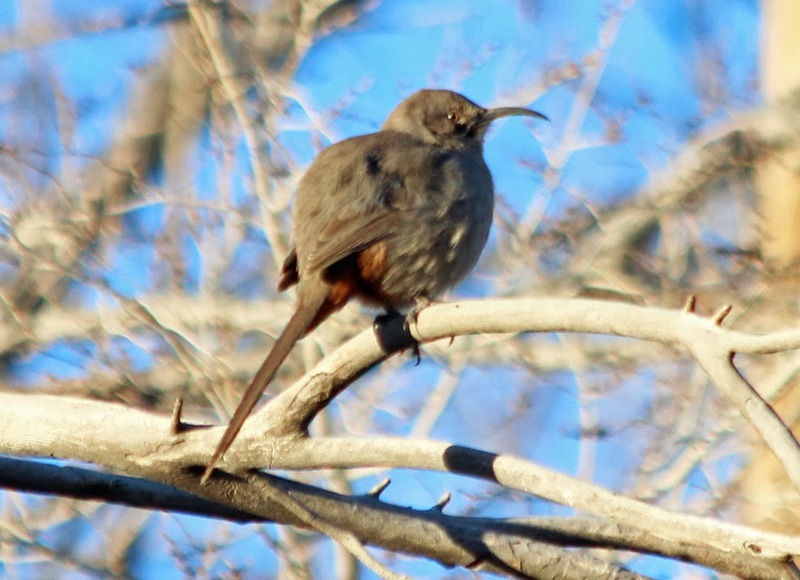 January 23rd, 2014.
and a distinct white chin though the red throat was heavily bordered with black. Today I headed for Willcox hoping for longspurs and found plenty of them. 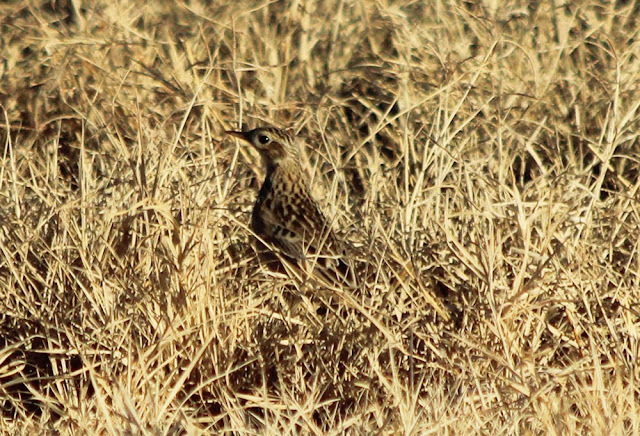 Perhaps as many as 300-400 Chestnut-collared Longspurs came into during the two hours that I was there. Unfortunately for me, they never settled so after a couple of hours I gave up chasing ghosts and headed for the mountains. In fact, it was my first visit to the Chirichahuas in about three years, a sobering experience to say the least with the devastation from the great 'Horseshoe Two Fire' in 2011 still very much in evidence. Birding was slow until I reached the snow line just below Barfoot Junction where I found a nice party of about 8 Mexican Chickadees closely associating with a feeding flock of Bushtits and all three expected nuthatches, and both kinglets. 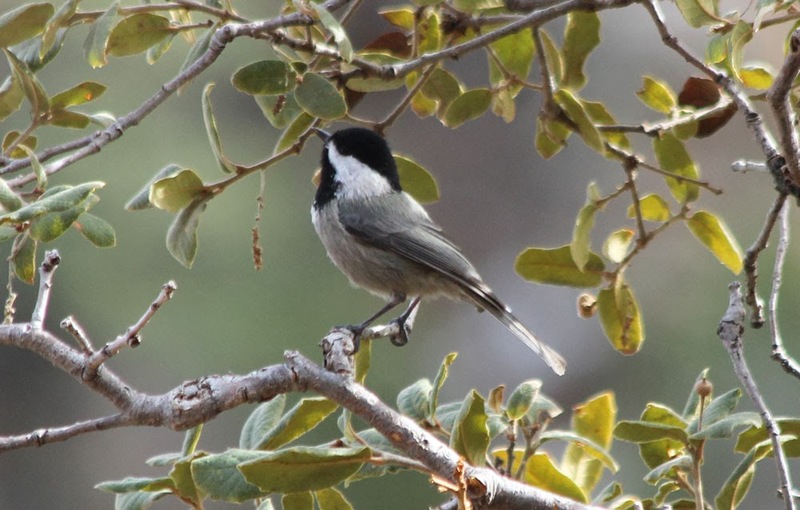 On the descent towards Portal I came across another similar sized flock of Mexican Chickadees along with two female-type Cassin's Finch, rounding off a magnificent drive through Cave Creek Canyon with a Townsend's Solitaire in the valley bottom. 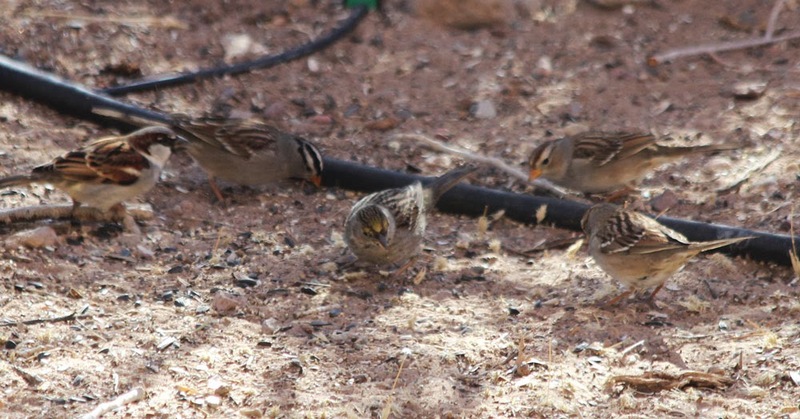 Chestnut-collared Longspurs - Cochise Lake, Willcox, Cochise Co., AZ. January 22nd, 2014. 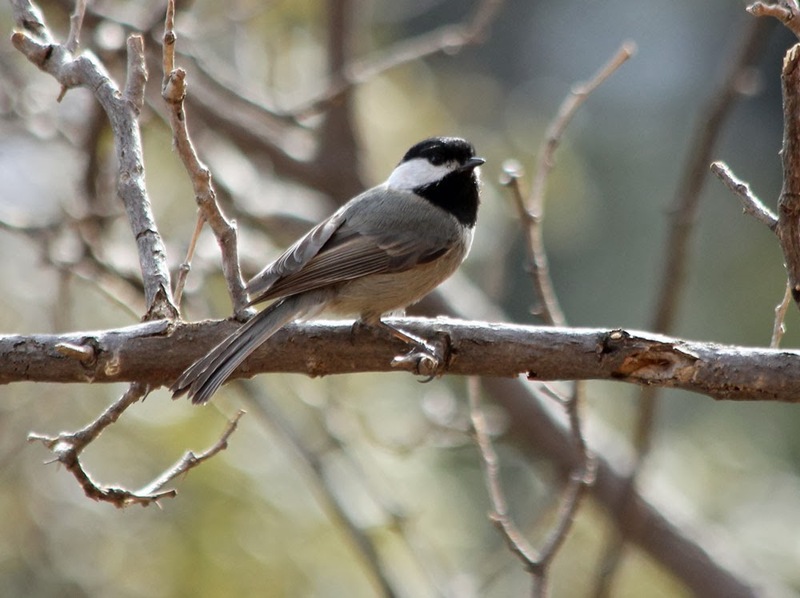 Mexican Chickadees - Barfoot Junction, Chiricahua Mountains, Cochise Co., AZ. January 22nd, 2014. 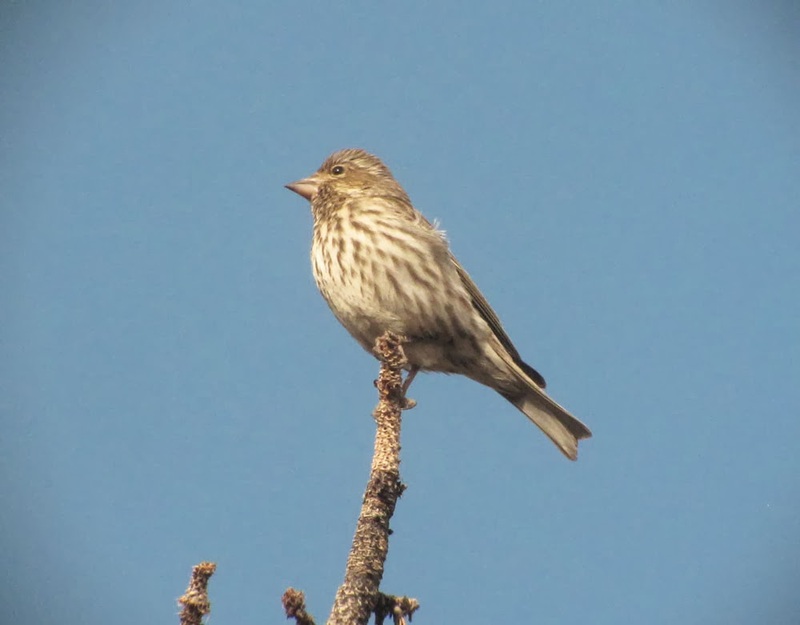 Cassin's Finches - two individuals, the lower bird being darker with heavier streaking and closer to Purple Finch in overall appearance. Chiricahua Mountains below Onion Saddle, Cochise Co. AZ. January 22nd, 2014. A real bumper day (at least for me!) 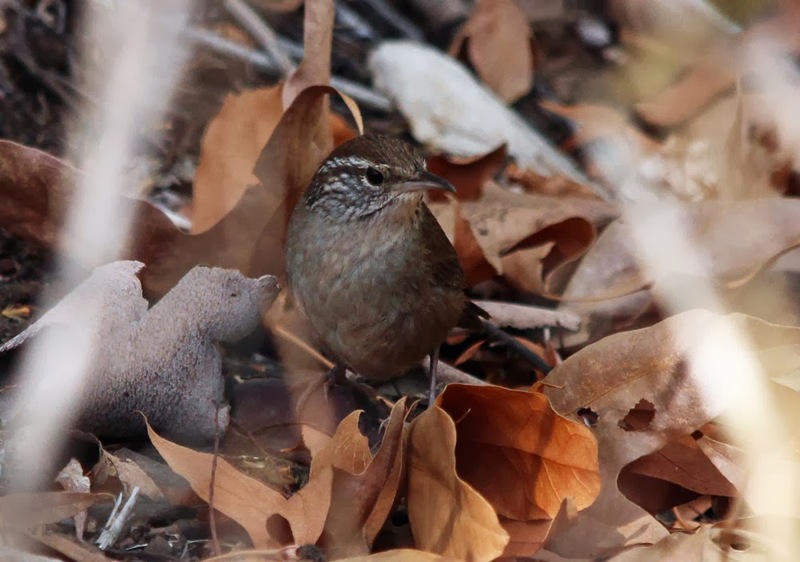 for wrens in South Eastern Arizona. I began on the Anza Trail, Tubac for my fourth visit! 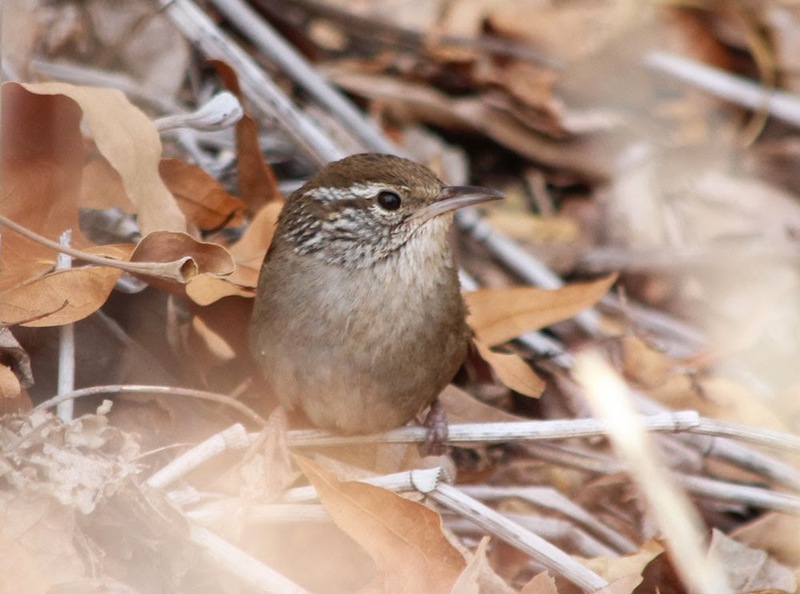 After two bursts of harsh calls, the Sinaloa Wren finally put in a brief, though not very photogenic, appearance under the powerlines was heard no more. 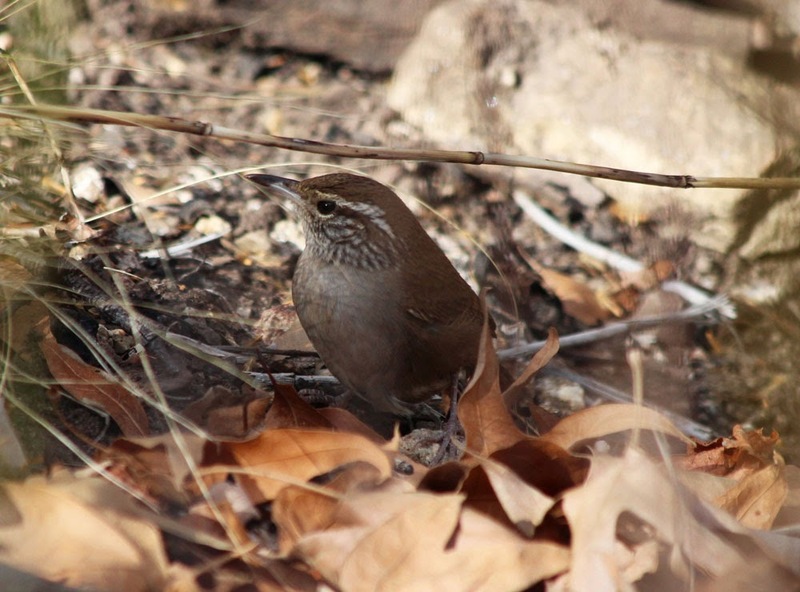 On to Fort Huachuca, where I'd heard that Arizona's 'other' Sinaloa Wren could be far easier to see. Fortune must have come my way because as I pulled up to the picnic area of lower Huachuac Canyon, I noticed a lone birder with that firmly fixed gaze on his subject matter. Sure enough, Roy Morris had just seen the bird and was kind enough to put me and another couple onto the exact location. 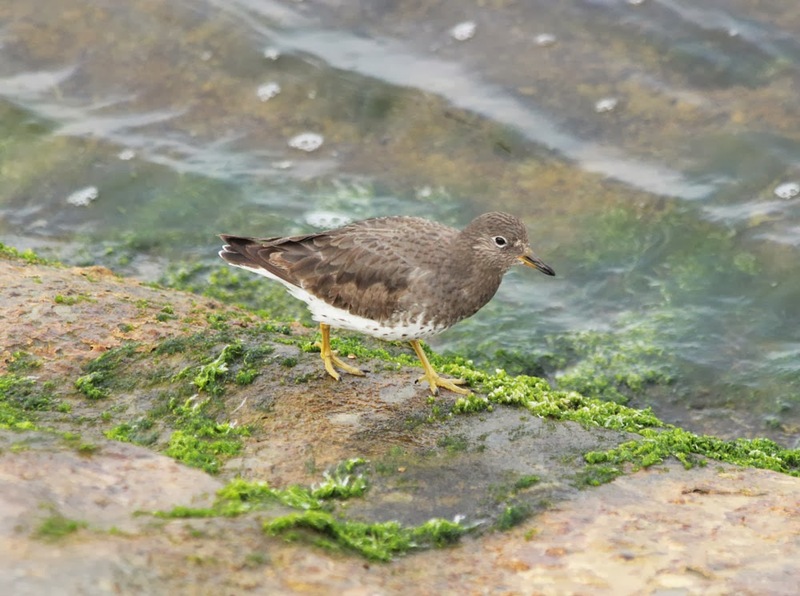 Within minutes I was watching this true skulker foraging in leaf litter just feet from where its four admirers stood - and what a privilege it was. 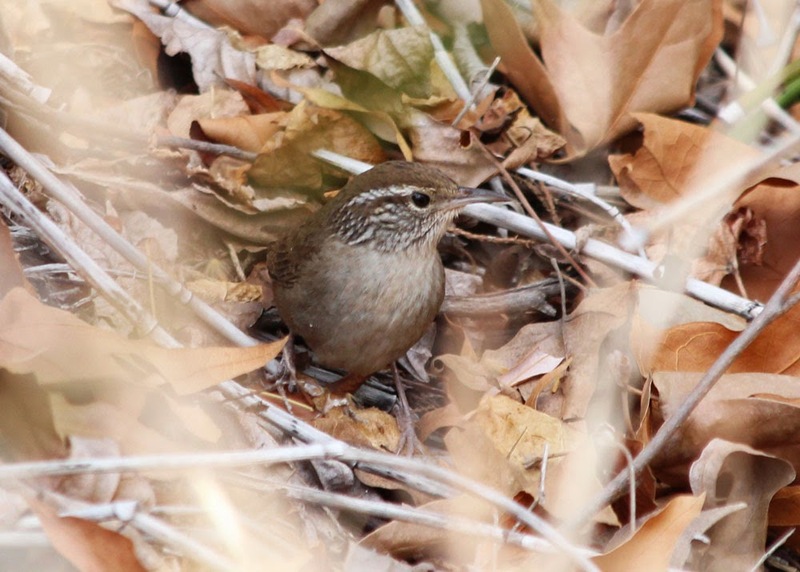 Delighted with the day's success, I then headed up canyon to hear and see a long staying, wintering Pacific Wren, rounding off an absolutely brilliant day. 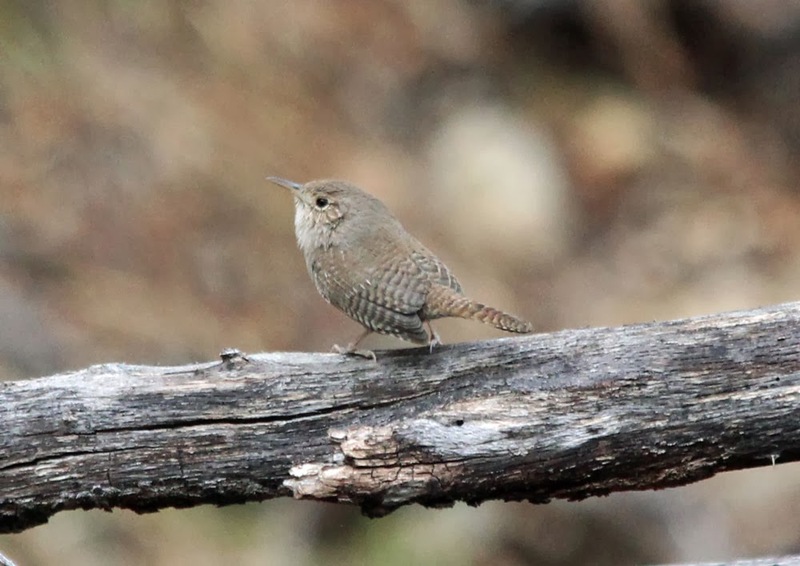 Sinaloa Wren - lower Huachuca Canyon, Fort Huachuca, Cochise Co., AZ. January 21st, 2014. Black-capped Gnatcatcher - male, Montosa Canyon, Santa Cruz Co., AZ. January 15th, 2014. One of a pair watched for an hour around noon. 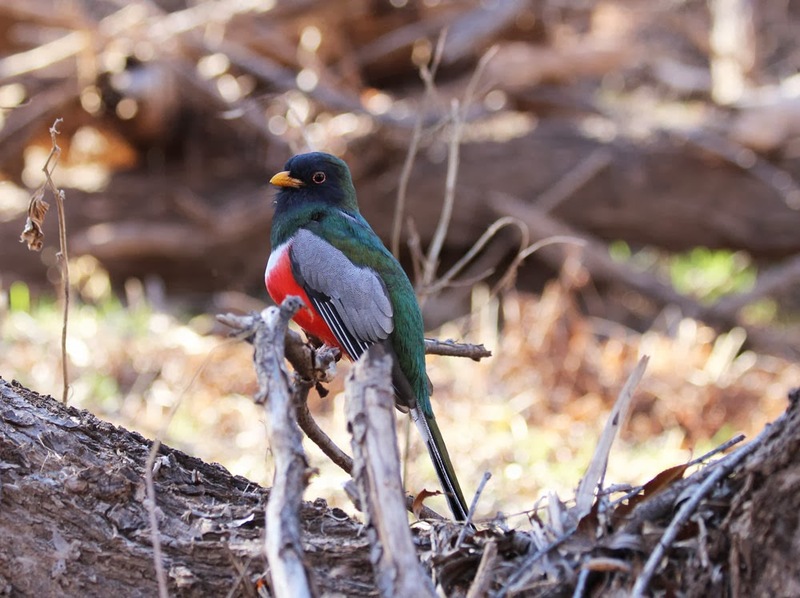 Elegant Trogon - male, Patagonia Lake SP, Santa Cruz Co., AZ. January 16th, 2014. 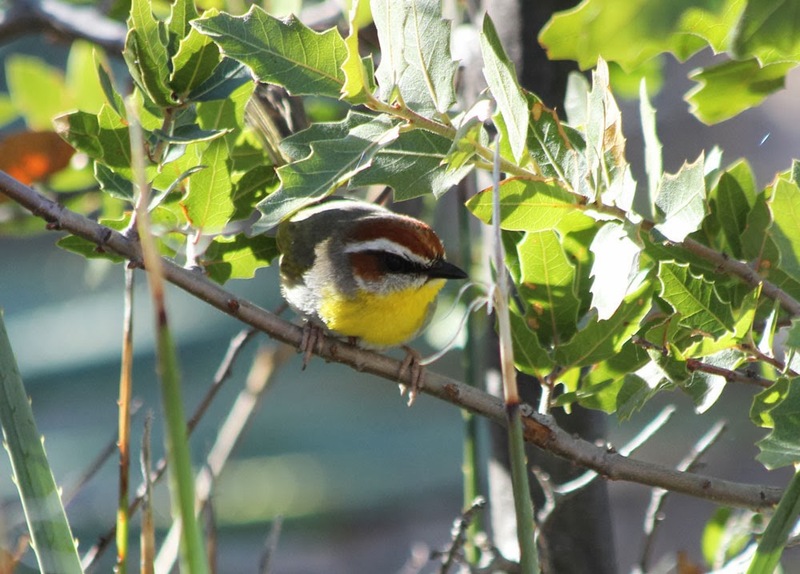 Rufous-capped Warbler - Florida Canyon, Pima Co., AZ. January 17th, 2014. One of 3-4 giving incredible views. 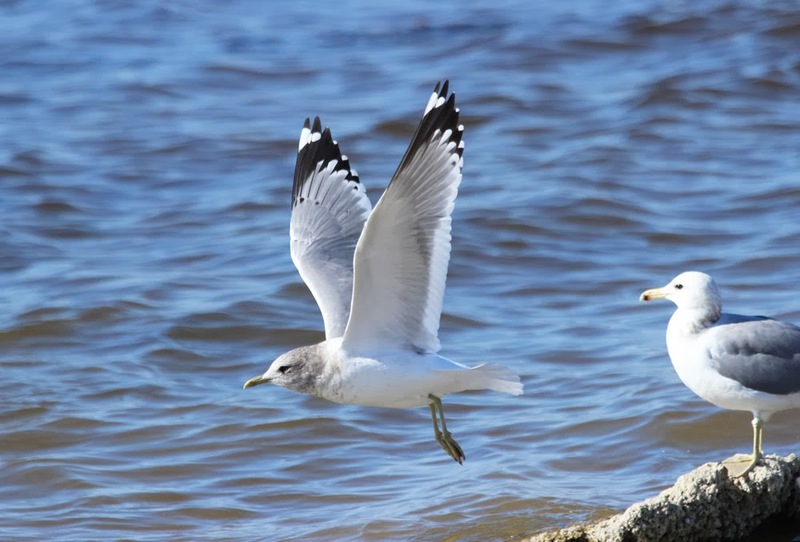 Yellow-footed Gull - north of Niland, Imperial Co, CA. January 14th, 2014. 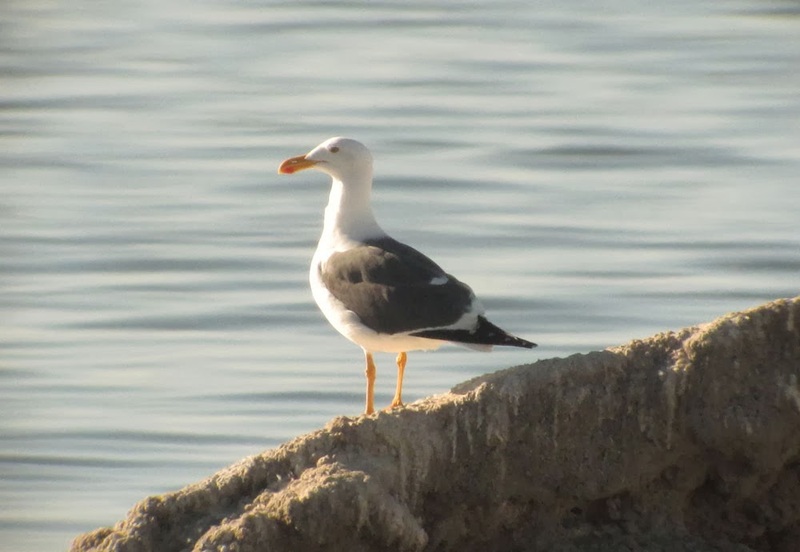 Mew Gull - adult, Salton Sea SRA, Riverside Co., CA. January 14th, 2014. 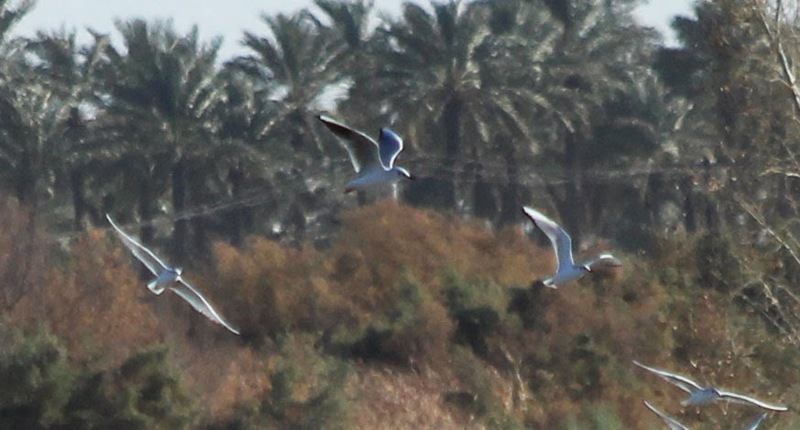 Black-headed Gull - (center) with Bonaparte's Gulls, Mecca, Riverside Co., CA. January 14th, 2014. 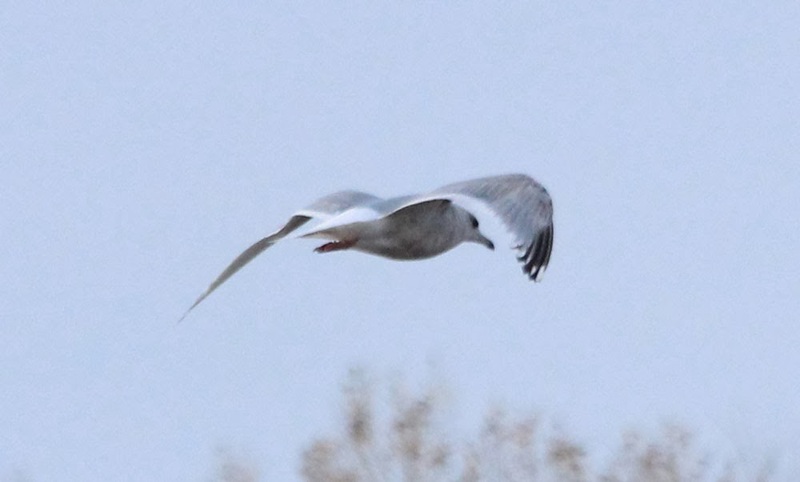 Flew in with about 15 Bonaparte's Gulls but never settled and drifted away high to the south-east. Found by Curtis Marantz and Louis Bevier on January 8th. 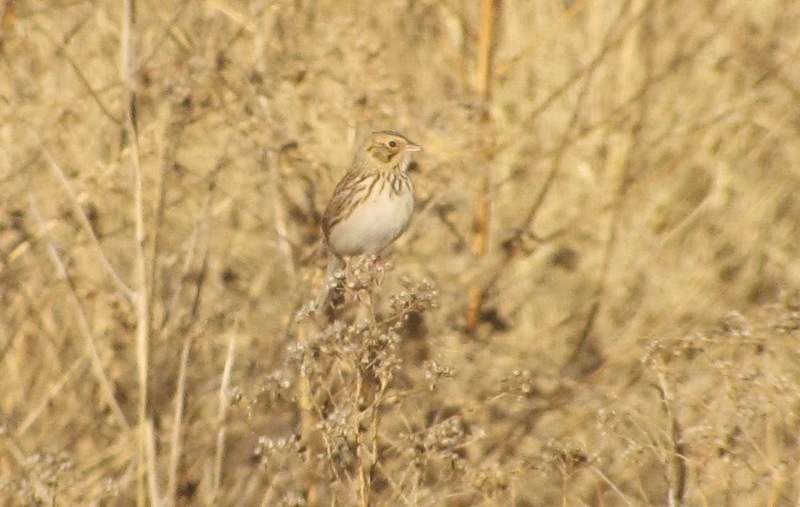 Baird's Sparrow - San Rafael Grasslands, Santa Cruz Co., AZ. January 16th, 2014. From of a wonderful morning in the grasslands with at least 7 of these and 2-3 Grasshopper Sparrows. Starting in Phoenix on Jan 5th, our winter trip to Arizona and California has been absolutely sensational so far. These images are from the first week with another full week to go! 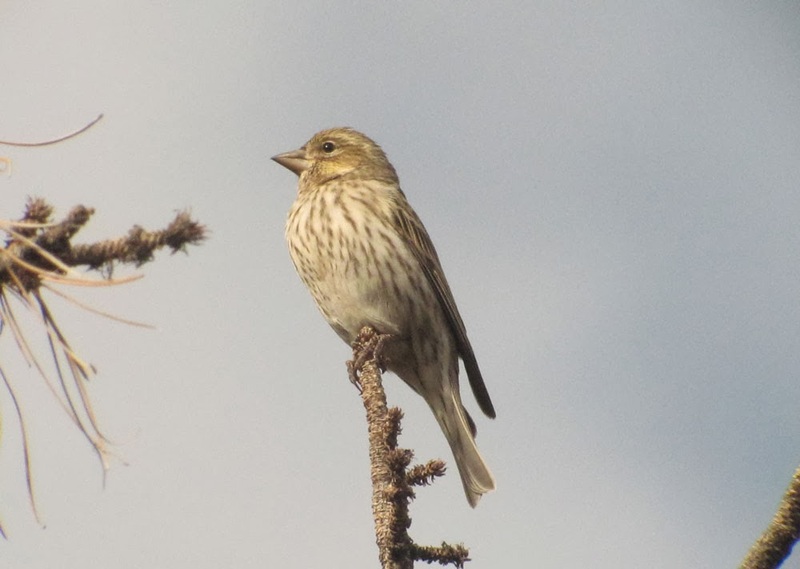 Sprague's Pipit - Calipatria, Imperial Co., CA. January 13th, 2014. 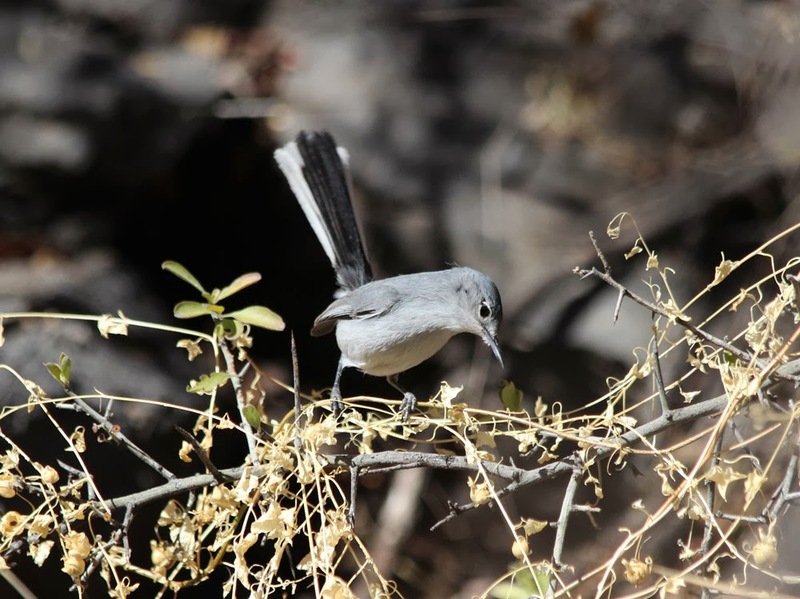 Black-tailed Gnatcatcher - Bill Williams NWR, Lake Havasu, AZ. January 7th, 2014. 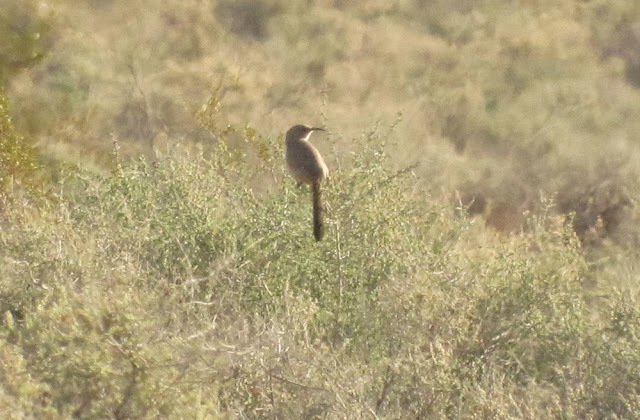 Le Conte's Thrasher - near Buckeye, Maricopa Co., AZ. January 7th, 2014. 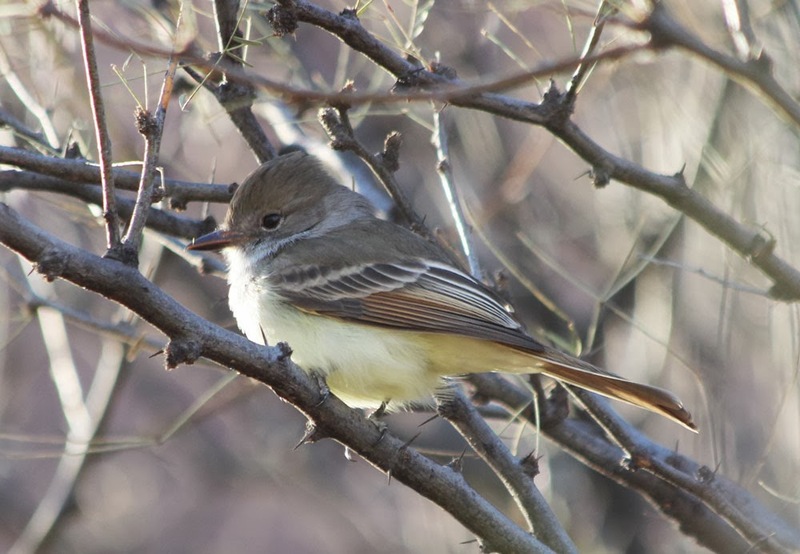 Nutting's Flycatcher - Planet Ranch Road, Bill William's NWR, January 8th, 2014. 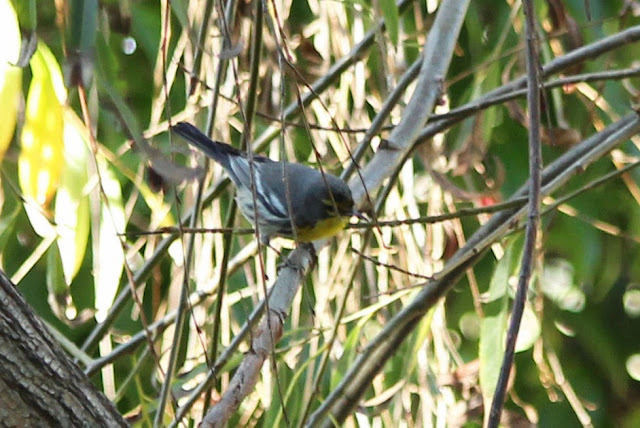 Grace's Warbler - Greenwood Cemetery, San Diego, January 11th, 2014. Surfbird - La Jolla, San Diego Co, CA. January 12th, 2014. Ferruginous Hawk - near Poston, Colorado River Indian Reservation, AZ. January 8th, 2014. 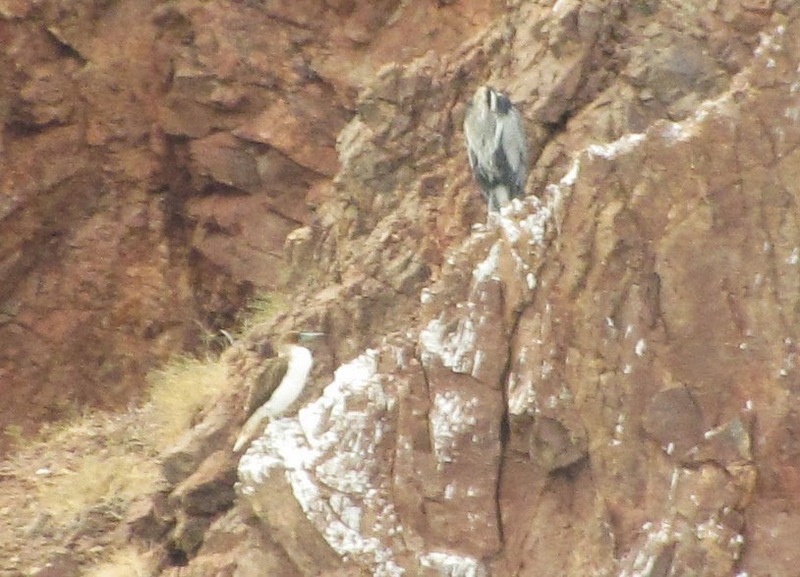 Blue-footed Booby - Bill Williams NWR, Lake Havasu, AZ. January 7th, 2014. 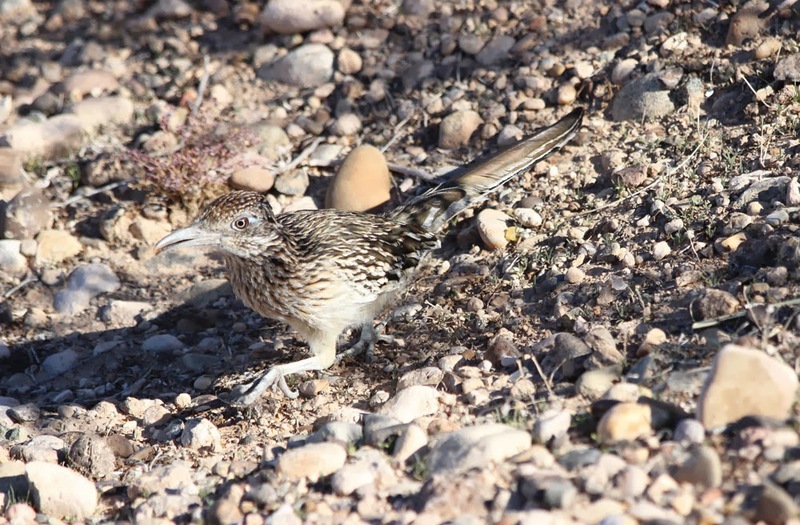 Greater Roadrunner - Lake Havasu City, AZ. January 8th, 2014.